InterExchange Career Training USA sponsors programs in six general categories. Please review these categories to determine whether the proposed field of training is included. If it is not, we may not be able to sponsor the program. Please contact InterExchange to discuss the proposed field if it is not listed. § 62.22 Trainees and Interns. (a) Introduction. These regulations govern Exchange Visitor Programs under which foreign nationals with significant experience in their occupational field have the opportunity to receive training in the United States in such field. These regulations also establish a new internship program under which foreign national students and recent graduates of foreign post-secondary academic institutions have the opportunity to receive training in the United States in their field of academic study. These regulations include specific requirements to ensure that both trainees and interns receive hands-on experience in their specific fields of study/expertise and that they do not merely participate in work programs. Regulations dealing with training opportunities for certain foreign students who are studying at post-secondary accredited educational institutions in the United States are located at §62.23 (“College and University Students”). Regulations governing alien physicians in graduate medical education or training are located at §62.27 (“Alien Physicians”). (1)(i) The primary objectives of the programs offered under these regulations are to enhance the skills and expertise of exchange visitors in their academic or occupational fields through participation in structured and guided work-based training and internship programs and to improve participants’ knowledge of American techniques, methodologies, and technology. Such training and internship programs are also intended to increase participants’ understanding of American culture and society and to enhance Americans’ knowledge of foreign cultures and skills through an open interchange of ideas between participants and their American associates. A key goal of the Fulbright-Hays Act, which authorizes these programs, is that participants will return to their home countries and share their experiences with their countrymen. (ii) Exchange Visitor Program training and internship programs must not be used as substitutes for ordinary employment or work purposes; nor may they be used under any circumstances to displace American workers. The requirements in these regulations for trainees are designed to distinguish between bona fide training, which is permitted, and merely gaining additional work experience, which is not permitted. The requirements in these regulations for interns are designed to distinguish between a period of work-based learning in the intern’s academic field, which is permitted (and which requires a substantial academic framework in the participant’s field), and unskilled labor, which is not. (2) In addition, a specific objective of the new internship program is to provide foreign nationals who are currently enrolled full-time and pursuing studies at a degree- or certificate-granting post-secondary academic institution or graduated from such an institution no more than 12 months prior to their exchange visitor program begin date a period of work-based learning to allow them to develop practical skills that will enhance their future careers. Bridging the gap between formal education and practical work experience and gaining substantive cross-cultural experience are major goals in educational institutions around the world. By providing training opportunities for current foreign students and recent foreign graduates at formative stages of their development, the U.S. Government will build partnerships, promote mutual understanding, and develop networks for relationships that will last through generations as these foreign nationals move into leadership roles in a broad range of occupational fields in their own societies. These results are closely tied to the goals, themes, and spirit of the Fulbright-Hays Act. (c) Designation. (1) The Department may, in its sole discretion, designate as sponsors those entities it deems to meet the eligibility requirements set forth in Subpart A of 22 CFR part 62 and to have the organizational capacity successfully to administer and facilitate training and internship programs. (d) Selection criteria. (1) In addition to satisfying the general requirements set forth in §62.10(a), sponsors must ensure that trainees and interns have verifiable English language skills sufficient to function on a day-to-day basis in their training environment. Sponsors must verify an applicant’s English language proficiency through a recognized English language test, by signed documentation from an academic institution or English language school, or through a documented interview conducted by the sponsor either in-person or by videoconferencing, or by telephone if videoconferencing is not a viable option. (2) Sponsors of training programs must verify that all potential trainees are foreign nationals who have either a degree or professional certificate from a foreign post-secondary academic institution and at least one year of prior related work experience in their occupational field acquired outside the United States or five years of work experience in their occupational field acquired outside the United States. (3) Sponsors of internship programs must verify that all potential interns are foreign nationals who are currently enrolled full-time and pursuing studies in their advanced chosen career field at a degree- or certificate-granting post-secondary academic institution outside the United States or graduated from such an institution no more than 12 months prior to their exchange visitor program begin date. (3) The training and internship programs expose participants to American techniques, methodologies, and technology and expand upon the participants’ existing knowledge and skills. Programs must not duplicate the participants’ prior work experience or training received elsewhere. (v) Ensure that any host organizations and third parties involved in the recruitment, selection, screening, placement, orientation, evaluation for, or the provision of training and internship programs are sufficiently educated on the goals, objectives, and regulations of the Exchange Visitor Program and adhere to all regulations set forth in this Part as well as all additional terms and conditions governing Exchange Visitor Program administration that the Department may from time to time impose. (vi) Certify that training and internship programs in the field of agriculture meet all the requirements of the Fair Labor Standards Act, as amended (29 U.S.C. 201 et seq. ) and the Migrant and Seasonal Agricultural Worker Protection Act, as amended (29 U.S.C. 1801 et seq. ). (3) Sponsors or any third parties acting on their behalf must complete thorough screening of potential trainees or interns, including a documented interview conducted by the sponsor either in-person or by videoconferencing, or by telephone if videoconferencing is not a viable option. (4) Sponsors must retain all documents referred to in §62.22(f) for at least three years following the completion of all training and internship programs. Documents and any requisite signatures may be retained in either hard copy or electronic format. (g) Use of third parties. (1) Sponsors use of third parties. Sponsors may engage third parties (including, but not limited to host organizations, partners, local businesses, governmental entities, academic institutions, and other foreign or domestic agents) to assist them in the conduct of their designated training and internship programs. Such third parties must have an executed written agreement with the sponsor to act on behalf of the sponsor in the conduct of the sponsor’s program. This agreement must outline the obligations and full relationship between the sponsor and third party on all matters involving the administration of their exchange visitor program. A sponsor’s use of a third party does not relieve the sponsor of its obligations to comply with and to ensure third party compliance with Exchange Visitor Program regulations. Any failure by any third party to comply with the regulations set forth in this Part or with any additional terms and conditions governing Exchange Visitor Program administration that the Department may from time to time impose will be imputed to the sponsors engaging such third party. (2) Screening and vetting third parties operating outside the United States. Sponsors must ascertain that third parties operating outside the United States are legitimate entities within the context of their home country environment. 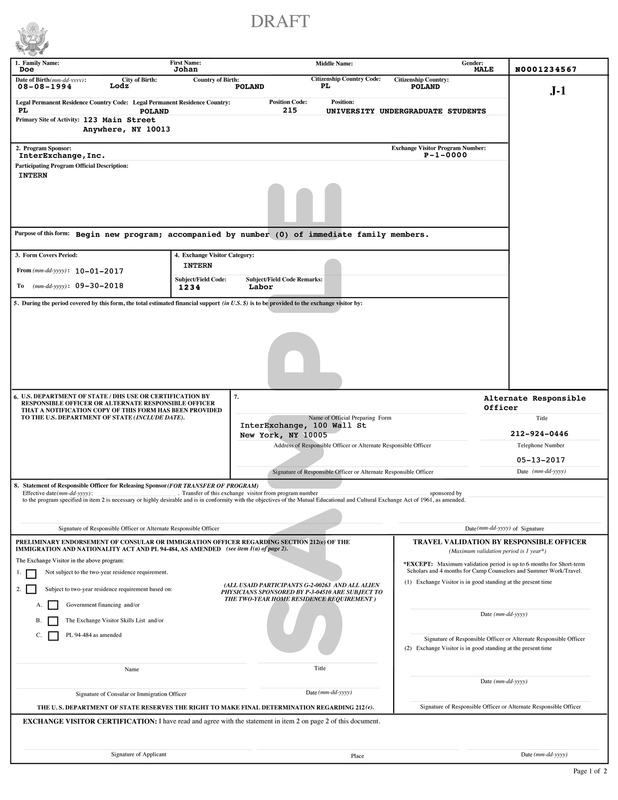 For third parties that operate as businesses, sponsors must obtain relevant home country documentation, such as a business registration or certification. Such home country documentation must include an English Language translation for any business registration or certification documents submitted in a foreign language. Written agreements between sponsors and third parties operating outside the United States must include annually updated price lists for training and internship programs offered by each third party, and must indicate that such overseas third parties are sufficiently trained in all aspects of the programs they represent, including the regulations set forth in this Part. (4) Site visits of host organizations. Sponsors must conduct site visits of host organizations that have not previously participated successfully in the sponsor’s training and internship programs and that have fewer than 25 employees or less than three million dollars in annual revenue. Placements at academic institutions or at federal, state, or local government offices are specifically excluded from this requirement. The purpose of the site visits is for the sponsors to ensure that host organizations possess and maintain the ability and resources to provide structured and guided work-based learning experiences according to individualized T/IPPs and that host organizations understand and meet their obligations set forth in this Part. (4) Host organizations abide by all program rules and regulations set forth by the sponsors, including the completion of all mandatory program evaluations. (i) Training/internship placement plan (Form DS–7002). (1) Sponsors must fully complete and obtain all requisite signatures on a Form DS–7002 for each trainee or intern before issuing a Form DS–2019. Sponsors must provide each signatory an executed copy of the Form DS–7002. Upon request, trainees and interns must present their fully executed Form DS–7002 to Consular Officials during their visa interview. (ii) Provide a chronology or syllabus. (ii) Identify the specific tasks and activities the intern will complete. (3) Engage or otherwise cooperate or contract with a Staffing/Employment Agency to recruit, screen, orient, place, evaluate, or train trainees or interns, or in any other way involve such agencies in an Exchange Visitor Program training and internship program. (4) Issue a T/IPP for any trainee or intern for which the duties involve more than 20 per cent clerical work. (5) Have less than three departmental or functional rotations for “Hospitality and Tourism” training and internship programs of six months or longer. (k) Duration. The duration of participation in a training and internship program must be established before a sponsor issues a Form DS–2019 and must not exceed the sponsor’s authorized designation as set forth in the sponsor’s letter of designation or most recent letter of redesignation. Except as noted below, the maximum duration of a training program is 18 months, and the maximum duration of an internship program is 12 months. For training programs in the field of agriculture and in the occupational category of Hospitality and Tourism, the maximum duration of program participation is 12 months. If an original T/IPP specifies that at least six months of a program includes related classroom participation and studies, training programs in the field of agriculture may be designated for a total duration of 18 months. Program extensions are permitted within the maximum duration as set forth in the letter of designation/redesignation provided that the need for an extended training or internship program is documented by the full completion and execution of a new Form DS–7002. 12-month training programs in the field of agriculture may not be extended to 18 months by adding six months of classroom participation and studies at the end of the original 12-month program duration. Per above, the six months of related classroom participation and studies must have been part of the trainee’s original T/IPP. (l) Evaluations. In order to ensure the quality of training and internship programs, sponsors must develop procedures for evaluating all trainees and interns. All required evaluations must be completed prior to the conclusion of a training and internship program, and both the trainees and interns and their immediate supervisors must sign the evaluation forms. For programs exceeding six months’ duration, at a minimum, midpoint and concluding evaluations are required. For programs of six months or less, at a minimum, concluding evaluations are required. Sponsors must retain trainee and intern evaluations (electronic or hard copy) for a period of at least three years following the completion of each training and internship program. 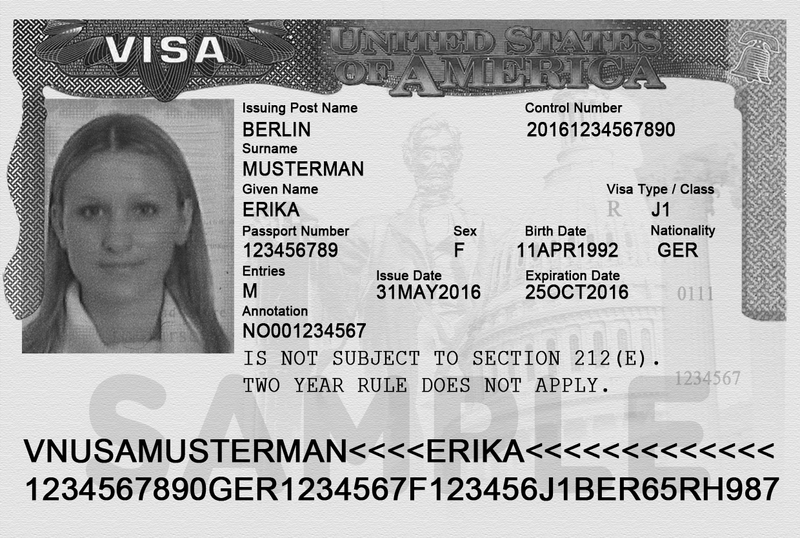 (m) Issuance of certificate of eligibility for exchange visitor (J–1) status. Sponsors must not deliver or cause to be delivered any Certificate of Eligibility for Exchange Visitor (J–1) Status (Form DS–2019) to potential trainees or interns unless the individualized Form DS–7002 required by §62.22(i) has been completed and signed by all requisite parties. (2) Have graduated from such institutions no more than 12 months prior to the start of their proposed exchange visitor program. A new internship is also permissible when a student has successfully completed a recognized course of study ( i.e., associate, bachelors, masters, Ph.D., or their recognized equivalents) and has enrolled and is pursuing studies at the next higher level of academic study. Trainees are eligible for additional training programs after a period of at least two years residency outside the United States following completion of their training program. Participants who have successfully completed internship programs and no longer meet the selection criteria for an internship program may participate in a training program if they have resided outside the United States or its territories for at least two years. If participants meet these selection criteria and fulfill these conditions, there will be no limit to the number of times they may participate in a training and internship program.